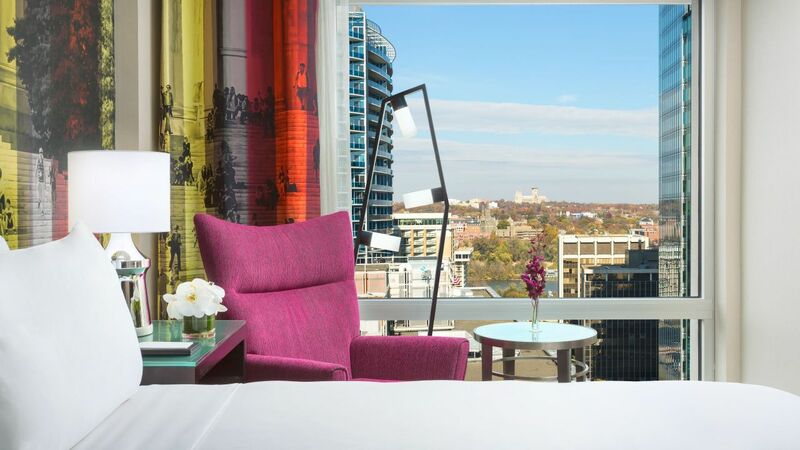 At Hyatt Centric Arlington, experience luxury and comfort in our 318 well-appointed guestrooms, including suites, hypoallergenic rooms, and Business Plan rooms for business-minded travelers. 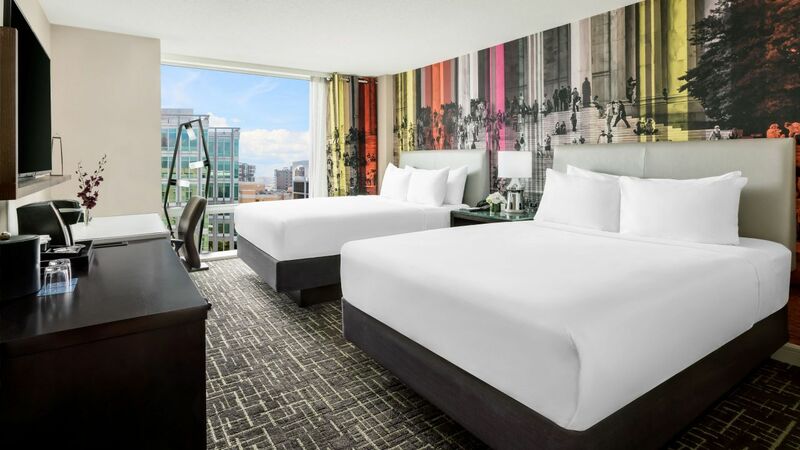 Indulgent Hyatt Grand Beds™, modern furnishings, hi-tech features, and stunning city views make each room the ideal home away from home, treating both business and leisure travelers to an unforgettable stay. Experience modern comforts in a suite that spans 625 square feet of space. Enjoy city views through floor-to-ceiling windows and separate sitting and work areas. This is a standard suite. See World of Hyatt program terms for upgrade eligibility. 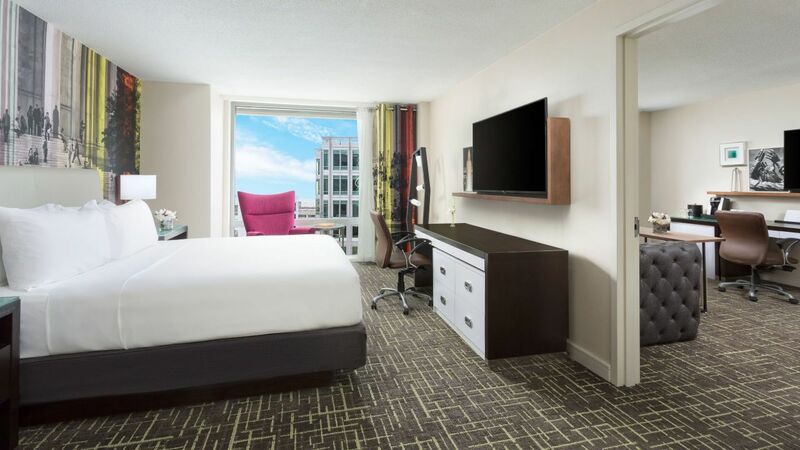 Relax in this 300-square-foot room featuring one king Hyatt Grand Bed and modern amenities. Rooms are located on floors 11-16. 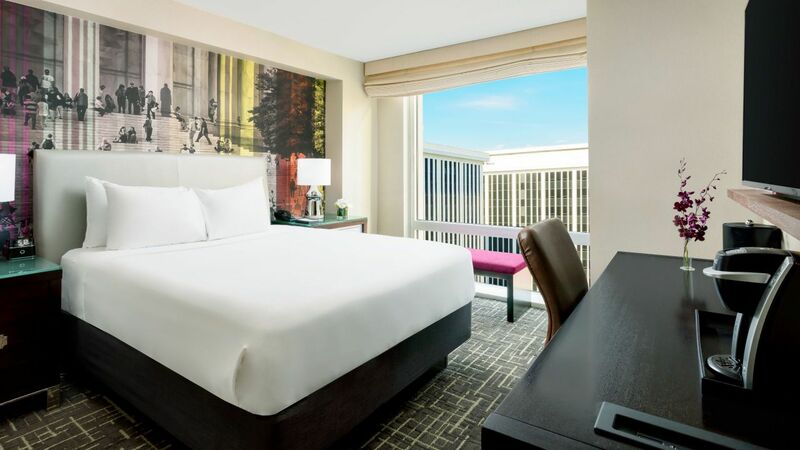 Unwind in this 300-square-foot room featuring hi-tech features, one king Hyatt Grand Bed™, and modern amenities. Treat yourself to a great night’s sleep in a 413-square-foot room that boasts fully accessible features. Relax in this 300-square-foot room featuring two queen Hyatt Grand Beds and modern amenities. Rooms are located on floors 11-16. 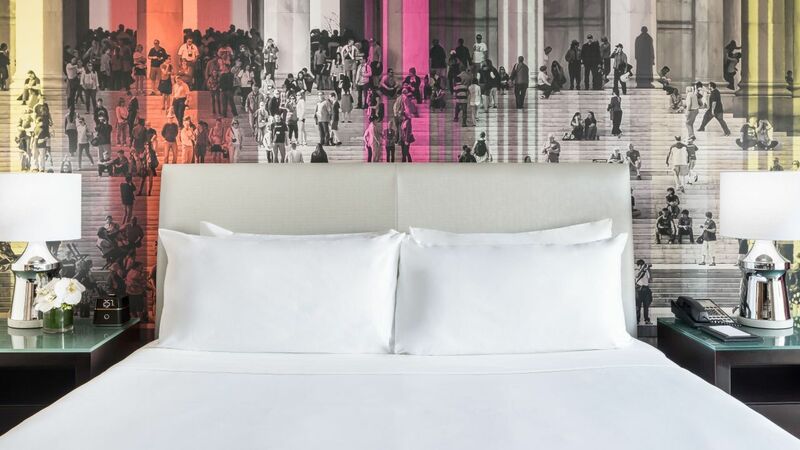 Unwind in this 300-square-foot room featuring hi-tech features, two queen Hyatt Grand Beds™, and modern amenities. 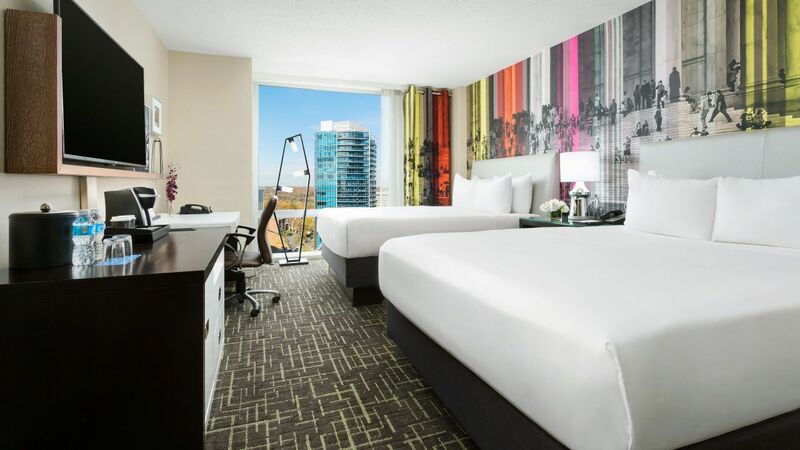 Unwind in this 270-square-foot room featuring hi-tech features, one queen Hyatt Grand Bed™, and modern amenities. Allergy sufferers can rest easy in a 275-square-foot room, featuring one king Hyatt Grand Bed™, treated to remove allergens and furnished with an air purifying system to minimize irritants. 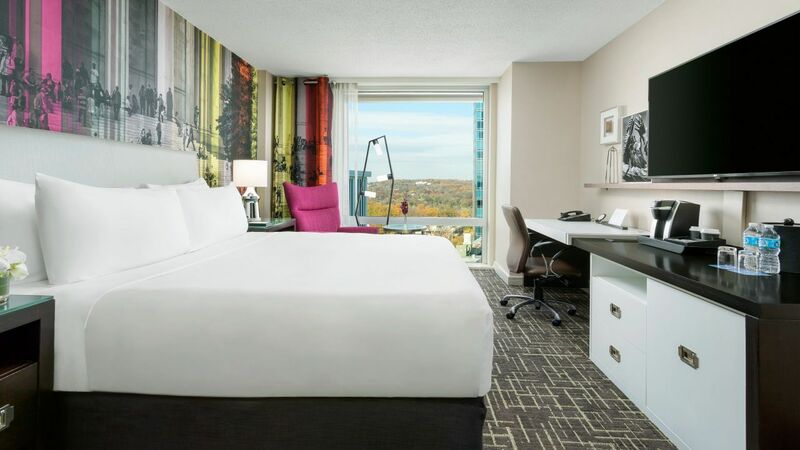 Treat yourself to a great night’s sleep in a 413 square-foot room that boasts fully accessible features.